Take a moment to think about what the sentence implies. In the first instance, it may seem like a utopian idea. Nevertheless, upon delving deeper into what this hypothetical claim states one would discover several curious statistics; according to the 2018 Revision of World Urbanization Prospects (published by UN DESA), 55% of the world population dwells in urban areas, a figure which is expected to increase to a 68% by 2050. The urban population of the world has grown exponentially from 751 million in 1950 to an astonishing 4.2 billion in 2018. By 2030, the world is projected to have 43 megacities with more than 10 million inhabitants. As a matter of fact, the UN has named this millennium: “The Urban Millenium”. And as our planet continues down the path of increased urbanization, sustainable development depends increasingly on the successful management of urban growth. Understanding urbanization and how its trends will unfold in the foreseeable future is pivotal to ensure the accomplishment of worldwide treaties and commitments, such as the Sustainable Development Goals for 2030, in which Goal 11, Sustainable Cities and Communities, plays a key role in the devising of future generations. Coming back to the article’s title, a phrase which prompted my research, this is, in fact, the title of– political theorist and author– Benjamin R. Barber’s book and what has instigated the writing of this article. The Global Youth Mayors programme surged as a motivation to make the youth take part in this augured future for our world. With Lodewijk van Oord as the catalyst of the project and the teachers Chiel Mooij and Pete Killham as guides for 16 students, United World College Maastricht Youth Mayors Program gathers every Wednesday to discuss and create solutions for issues relating to urban development, more specifically those in and around the city of Maastricht. We are what is commonly called a ‘Think Tank’, where we do research and projections about urban planning in Maastricht and in our own hometowns. For instance, we receive requests and inquiries from the town’s city hall about the restoration, improvement, and installation of city facilities (recreational areas, green spaces, etc.) We engage in research and planning about each of the petitions they send us and we suggest different solutions implemented in our hometowns or seen in other places around the world. Each request is put through a rigorous process of in-depth research and careful planning before solutions are created, with each of us drawing from our experiences in our cities. In addition, we constantly establish cooperative relationships with organizations in and around Maastricht that deal with urban infrastructure affairs such as housing, transportation, and urban planning to learn from them and implement our knowledge back home. 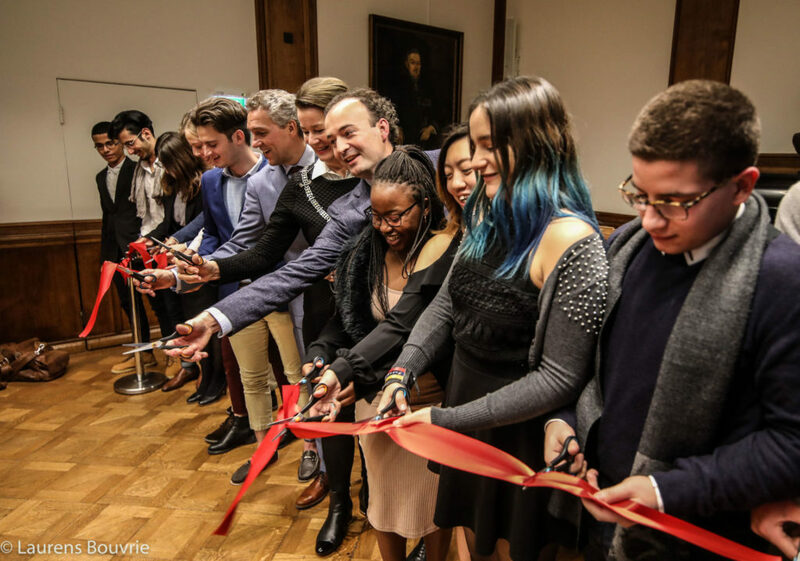 We established a communicative bridge between the town hall and us where we exchange constant feedback between Maastricht and our hometowns, in order to improve the city where we reside and the cities where we come from. We received support in the form of funds from the province of Limburg and the school so that we can attempt to improve our original urbanizations by imparting programs, initiatives, and suggestions to mayors all around the world and contribute to our cities and urban areas across the globe.